Assessment: The first critical step in any international relocation is fact finding. Where are you moving to and from? What is the reason for your move? How soon you are moving, etc. It basically creates the platform for the entire process. The Proposal: One of Unipack’s partners conducts a pre-move survey at your residence when possible. This gives us the tools necessary to construct your international relocation proposal. International proposals are generally provided as a door-to-door, all-inclusive rate however, we can make adjustments to fit your particular needs if requested. Scheduling: Once you have decided that Unipack is the right service provider for you, let us know and we’ll move forward solidifying your loading date on the schedule. Documentation: One of the most important steps in the relocation process is ensuring the correct documentation is in place for insurance purposes and customs clearance at destination. Once your packing and loading dates are set, a Unipack Specialist will follow up shortly thereafter and provide you the required documentation along with assisting you in completing them correctly. Packing: Unipack will have an internationally certified crew pack and prepare your shipment for safe international transportation. All packing materials will be provided and industry-proven techniques for packing are utilized to secure your international shipment in its appropriate container. 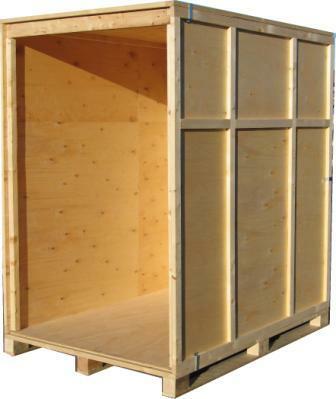 Into wooden shipping containers called lift vans or custom crates specially constructed for shipments that require it. Liftvans measure approximately seven feet by four feet by seven feet (7.25 x 3.75 x 7.25) and are close to 200 cubic feet. For larger shipments, Unipack may load your shipment directly into a 20-foot or 40-foot steel ocean container at your residence. 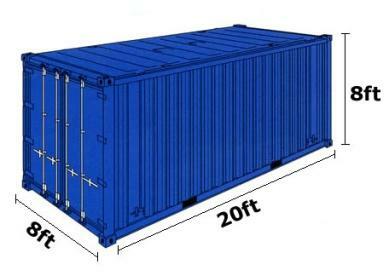 45-foot containers are also available for certain domestic overseas locations (Hawaii/Alaska). 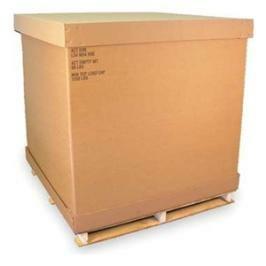 For Air shipments, we utilize cartons made of 200lb test double wall corrugated fiberboard. There are different size cartons available for air transportation. After a pre move assessment is completed, Unipack will have your shipment loaded into the appropriate carton for your particular shipment. Ocean or Air Transportation: Unipack transports your shipment to the port or airport of departure and arranges loading onto the ocean vessel or aircraft for international transportation. Customs Clearance: At the port or airport of arrival, your household goods shipment is processed by the destination customs authority and is cleared for transfer to our selected partner designated to deliver your shipment. Delivery: Unipack’s destination service provider delivers your household goods to your residence. Unpacking, unwrapping and debris removal are all standard inclusions with our proposals. If you don’t have your residence in place and storage is needed, we can provide this service upon request.